Developing relationships with new and existing customers has always been a priority for the Signs By Benchmark team, but we also want to help our customers build relationships with their clientele. By providing technical support, literature and samples, Signs By Benchmark can help you offer a more diverse product line of interior and exterior signage. 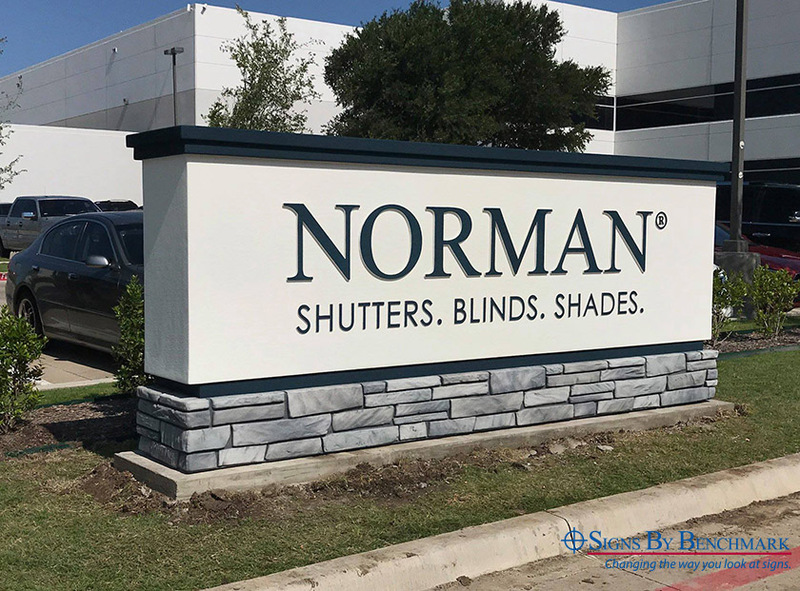 Outfitted with support from Signs By Benchmark, Giant Sign of Dallas, Texas was able to sway a customer that wanted a stone monument sign on a limited budget. “A regional sales agent dropped in one day and provided us with a wealth of knowledge in order for us to sell the product,’ said Giant Sign Managing Partner Andy Park. 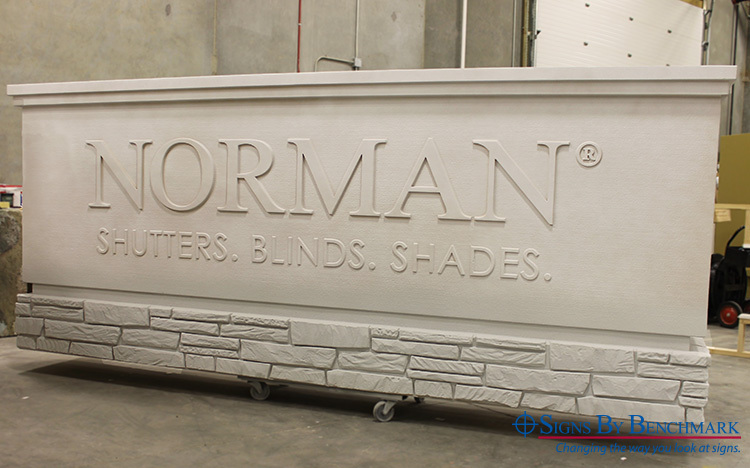 The end result was a 148” wide x 60” high x 24” deep contemporary monument sign that showcased the customer’s brand and a sleek stone pattern to complement the existing building. Experience what the Signs By Benchmark team can offer. Give us a call at 800-658-3444 or 605-886-8084 to discuss upcoming projects. We offer 32 Standard Models, but also specialize in custom foam-core exterior and interior signs and components such as bases, pole covers, tops and architectural accents.